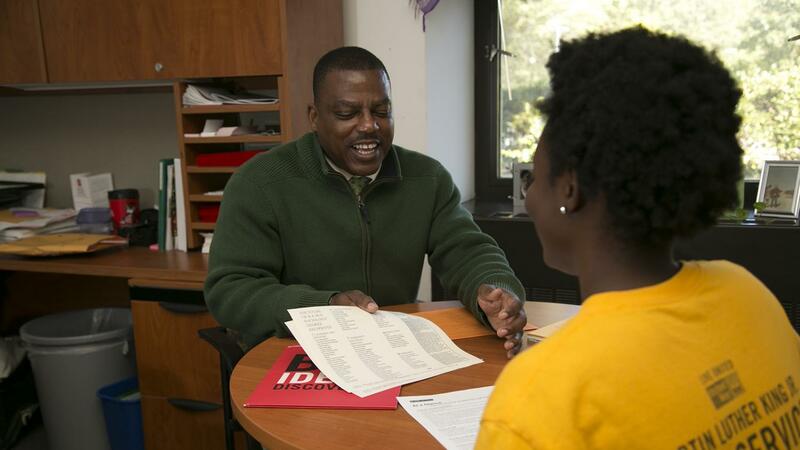 Whether you’re a first semester freshman, a transfer student or a senior entering your final year, your adviser is one of your most important connections at NC State. He or she can help you select courses that fulfill your degree requirements, satisfy your academic curiosity and start planning for your career. Your adviser can also help you figure out how to fit in those additional experiences that enhance your education and resume: study abroad, internships, research. Count on your adviser to help you make it happen. My advice to students? Get to know your faculty adviser! He or she can help you make informed decisions about your course of study. They’ll help you set educational goals and monitor your progress. And they will show you how to take advantage of resources and opportunities that support your success. They’re here for you. Have questions about your major, your course schedule or university policies? Get answers at the Academic Support Center in Caldwell Lounge. The center allows walk-in appointments throughout the year. Nominate your adviser for the college’s annual Outstanding Adviser of the Year award. Nominations may be submitted at any time, although the deadline for award consideration in a given academic year is August 1. Awards are made annually in December. As a graduate student in the College of Humanities and Social Sciences, you’ll work closely with your adviser and your thesis committee to choose courses and conduct research that most closely align with your intellectual curiosity and passions. Expect to work alongside faculty who are at the top of their field as you hone your interests and gain experience that will serve you well. Contact your home department to get connected with your director of graduate programs. For general advising questions, you can also contact The Graduate School.